What Does "Format" Mean in Computing? What Exactly is Computer Formatting? To format a drive (hard disk, floppy disk, flash drive, etc.) means to prepare the chosen partition on the drive to be used by an operating system by deleting all of the data1 and setting up a file system. The most popular file system to support Windows is NTFS but FAT32 is also sometimes used. In Windows, formatting a partition is usually done from the Disk Management tool. You can also format a drive using the format command in a command line interface like Command Prompt, or with a free disk partition software tool. It might help to know that a partition usually encompasses an entire physical hard drive. That's why we often say "format a drive" when in reality, you're formatting a partition on the drive... it just so happens that the partition may be the whole size of the drive. Formatting can't usually be done by accident so you shouldn't worry that you'll delete all your files by mistake. However, you should be cautious when formatting anything and be sure you know what you're doing. Some devices like cameras will let you format the storage through the device itself. It's similar to how you can format a hard drive using a computer - the same thing is possible with some digital cameras and maybe even gaming consoles or other devices that might need their hard drive formatted. Formatting the C: drive, or whatever letter happens to identify the partition that Windows is installed on, must be done from outside of Windows because you can't erase locked files (the files you're currently using). Doing so from outside the OS means the files aren't actively running and can, therefore, be deleted. If you're looking for information on formatting an existing hard drive just so you can install Windows on it, don't worry - you don't have to manually format a hard drive to do this. Formatting a hard drive is part of the "clean install" method of installing Windows. If you want to format a device to change the file system from, say, FAT32 to NTFS, one way you can do it while saving your data is to first copy the files off of the drive until it's empty. You might be able to recover files from a partition even after it's been formatted. Some file recovery tools should be able to do this, and many are free, it's definitely worth a try if you've accidentally formatted a partition that held valuable data. There are two different types of formatting - high level and low level. High-level formatting involves writing the file system to the disk so that the data can be organized and understood by software reading from it and writing to it. Low-level formatting is when the tracks and sectors are outlined on the disk. This is done by the manufacturer before the drive is even sold. The word "format" is also used to describe the way other things are arranged or structured, not just a file system. For example, format is associated with the visible properties of objects like text and images. Word processing programs like Microsoft Word, for example, can format text to make it centered on the page, appear as a different font type, and so on. Format is a term used to describe the way files are encoded and organized, as well, and is usually identified by the file's extension. In Windows XP and prior versions of Windows, the data on a hard drive's partition isn't truly erased during a format, it's simply marked as "available" by the new file system. In other words, it tells the operating system that uses the partition to pretend there's no data, even though there really is. 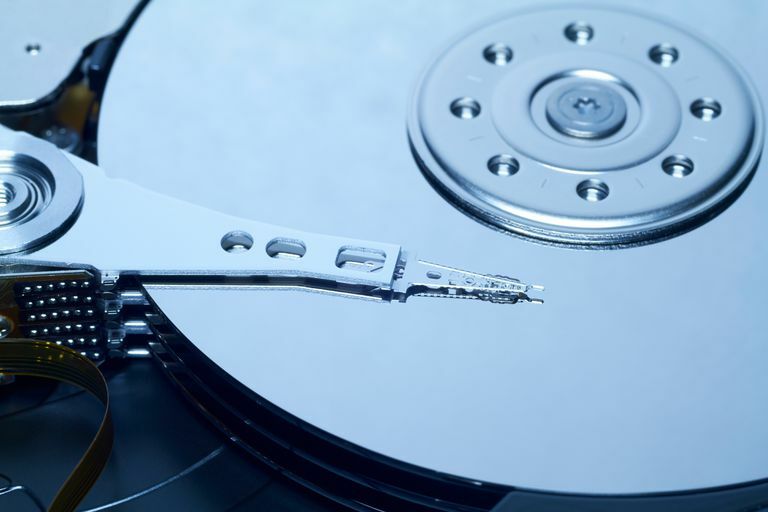 See How to Wipe a Hard Drive for instructions on completely erasing the information on a drive.